On this weekend when we celebrate Halloween, Samhain, Dia de los Muertos, All Saints and All Souls Day, I am posting my reflections. 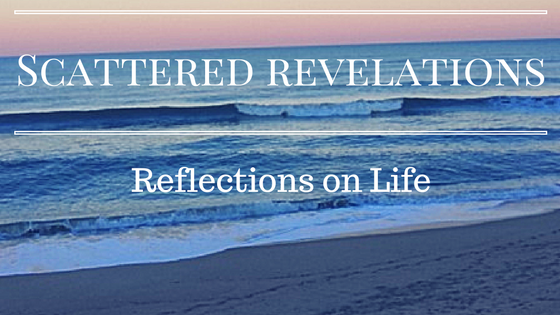 This was the reflection I offered at the Unitarian Universalist Congregation of the Outer Banks on Sunday October 26, 2014. Story: A Gift for Abuelita - this is a wonderful video of this story created by Middle Schoolers. We used the video in the service. Today we remember and celebrate those people and pets who have died. In our American culture we are not comfortable with death and in fact we do everything we can to avoid it. In some circles it almost sounds like if we just eat the right foods, take care of ourselves somehow we can make death optional. Also death has been removed from our consciousness through the professional nature of the business of death. Most of us will die not at home but in a facility, our family will not prepare our bodies but rather professionals and more and more of us are opting for cremation. I frequently hear discomfort with the idea of an open casket funeral or a vigil where the body is on display for a final goodbye. The reality of death has been cleaned up and hidden away. Yet death is something that will happen to each of us and each of us will lose those we love to death. I know many of you have lost grandparents, parents, friends, pets and even children and grandchildren. I worry that our cleaning up of death and hiding it away makes grief even harder since after the initial flurry of activity we act like life is supposed to go back to normal like nothing happened. Too often people don't talk to family members about the person who has died for fear of upsetting them. Yet we need to be upset, we need to cry and feel rage and fear. That is all part of grief and grief is not pretty, it is not something we just get over. Yes eventually life moves forward and we do heal but we never fully get over losing those we love. Ritual has been used for centuries by humans to help us grieve, to honor and remember those we have lost, to help us cope with the reality of death. I don’t believe there is any religion or culture that does not have a way to honor and remember the dead. Today we are lifting up the traditions of Samhain, Dia de los Muertos and the Christian holidays of All Souls and All Saints. What is amazing is the amount of overlap in these traditions. Both Samhain and Dia de los Muertos involve creating altars with pictures, mementos and favorite foods of the dead. Dia de los Muertos includes visiting the graves of those lost, cleaning them and then sharing a meal at the graveyard. This is not a morbid holiday but rather a joyous celebration of life, a celebration of storytelling, and favorite foods. There are sugar skulls and vibrant colored flowers. The Christian holidays were created to replace the pagan ones and also focus on ritual and story telling. All Saints lifts up those exemplars of the Christian faith and All Souls on all those who have died. I remember in the fifth grade, dressing up as the saint I am named after, St. Margaret Mary, and going to other classes at my Catholic elementary school singing "When the Saints Come Marching In." It is a very happy memory and I know there is a picture in my parent's house with me dressed up as a nun. Within Unitarian Universalism we hold a variety of beliefs about what happens after death. Some of us hold that there is nothing after death. Some may believe in reincarnation or a traditional heaven. Some of us are not sure and we think there might be or must be something. Our Universalist tradition rejected that a loving God would damn anyone, no matter what they had done in life, to eternal torture and damnation. Universalism held that a loving God would reconcile all to God's self. All would be saved. Today we are not the only UU congregation honoring and remembering the dead. We affirm that those we love are never truly gone as we hold them in our hearts, tell their stories, make their favorite foods. They live on in our memories and in the stories we share with our children and grandchildren. The dead may be gone but they are not forgotten. So today we join with our ancestors who for thousands of years have been honoring those we have loved and lost. We come together, share their pictures, their stories, their favorite foods. We may shed some tears and we may laugh as we remember stories. It is a holy moment when through the tears of grief we also find ourselves smiling and laughing at a memory or story. So I now invite you to stand as you are able and take a moment in silence to think about who you would like to remember this morning. In a moment we will call out their names into the space. Silence - I now invite you to call out the names of those you would like us to remember and honor this morning. May their memory be a blessing! May the love we share never die. Blessed be!